You don’t have be fluent in the HTML language to create a stunning wedding website, nor do you have to tap into your bank account. 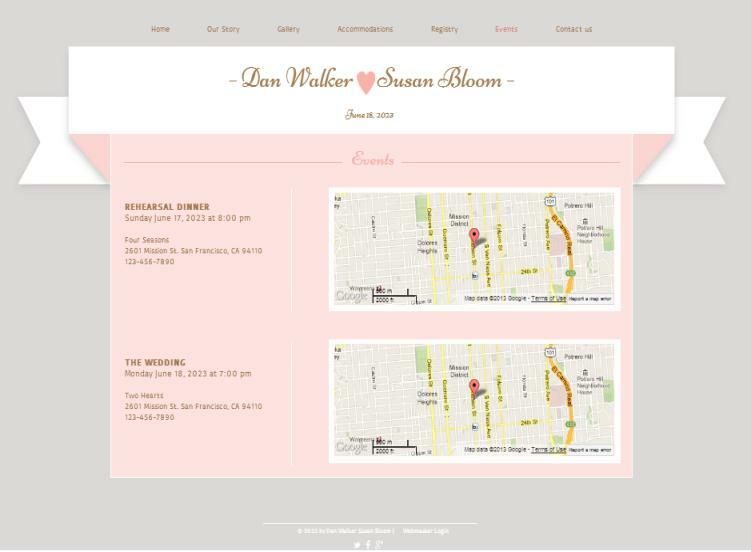 With Wix.com, you are able to share with your guests the who, what, when, and where details of your wedding day, all with some serious style. 1. 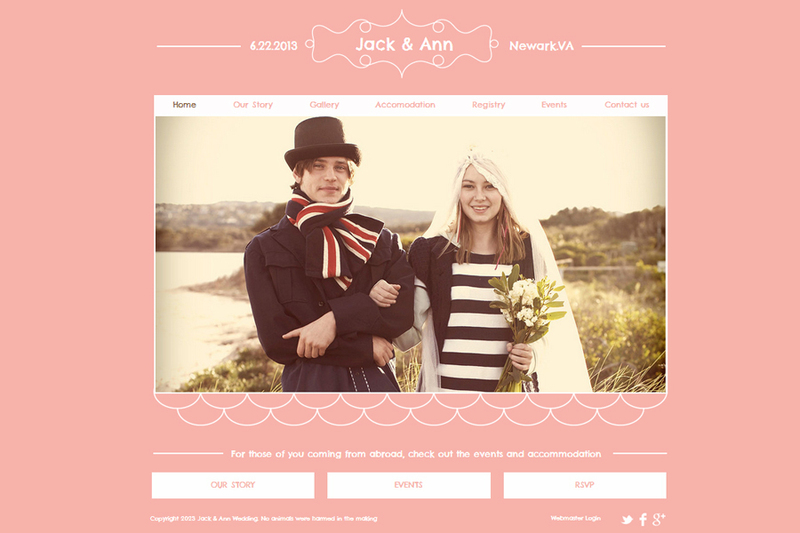 Customize: You want your wedding website to reflect you as a couple. We particularly like Wix.com’s drag-and-drop usage, which is extremely user-friendly, and the outcome can be comparable to a professionally designed site. You can choose from hundreds of templates to suit your theme and style, upload your song to play on the site as guests browse the information, and include one of the numerous bells and whistles (such as RSVP management, event calendars and a countdown!) that you often have to pay for on other sites. 2. Visitor Information: Particularly if you have out-of-town guests, directions to and from the ceremony and reception sites are necessary (plus any other points of interest you’d like to recommend). Wix allows you to take it one step further and include Google Maps to help accurately guide. Be sure to also include information for any hotels with rooms blocked off for the event. 3. Get Guest Feedback: Whether you’re debating between a band or DJ, or deciding whether to have a bouquet toss, asking for guests’ solicited opinions is a great way to include them in the planning process. Wix has the option of adding a poll to your site, so you can garner desired feedback to make those informed decisions. They also have a menu selection form so guests can mark if they want the steak or salmon. 4. 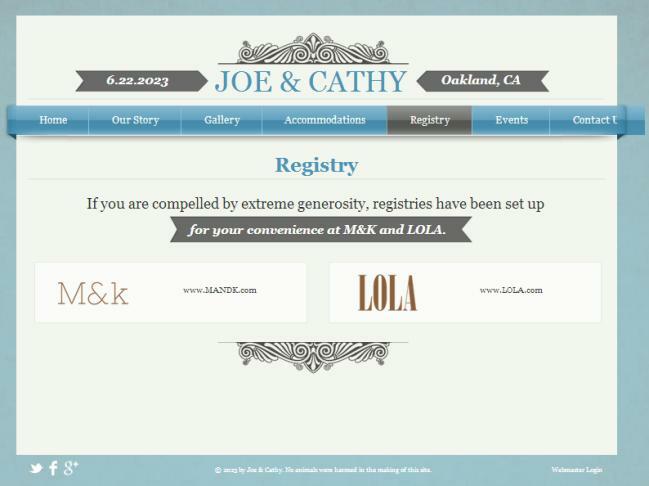 Add a Gift Registry: Traditionally, couples list their registry information on the their wedding website, but Wix actually allows you to link directly to your registry on the store’s website with a widget or upload their Wish List App to your wedsite, where you can use MyRegistry.com to curate your dream registry from a variety of your favorite stores. 5. Fact-check: Your guests will be relying on the information that you provide, so double-check that addresses, phone numbers and other important info is accurate. 6. 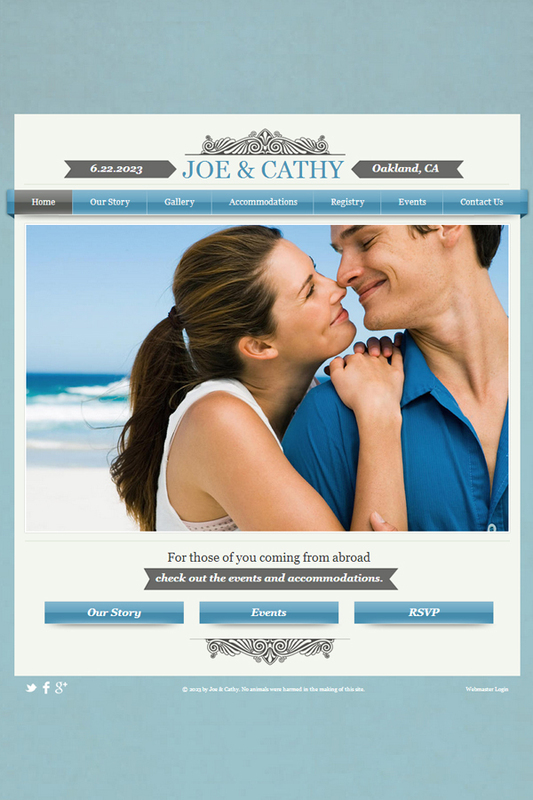 Spread the Word: Share your wedsite link through email, Facebook and more. You can also include it on your save-the-dates and shower invites.. For a polished look, treat yourself to Wix’s monthly $8 upgrade to create a customized domain name that’s pretty enough for the invites themselves. 7. Upload Photos: Whether it’s your engagement or vacation photos, bio pictures of the bridal party or of your families, you can include several different galleries within your Wix website. Though Wix’s features are free, upgrading will give you a domain name and an ad-free site. For the next month, you can enter discount code intimatewedd221 and receive 10 percent off all yearly plans. Sign up here.